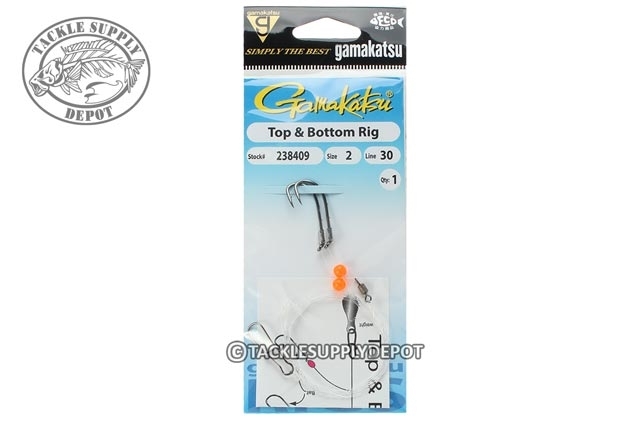 Designed primarily for bottom fishing, Gamakatsu's Top and Bottom Rig uses two size 2 NS Black Baitholder hooks attached to a 30lb. leader so they stick out about 4" from the main line and are spaced about 10" apart. It includes a barrel swivel at the top of the rig and a cross lock for easy weight attachment at the bottom.